As reception is an important element of the office. 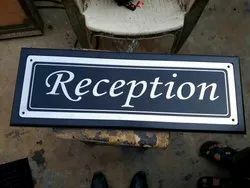 Out Reception Signage is allowing you to give visitors positive feelings and impressions as they enter your office for the first time. 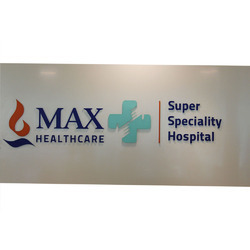 We manufacture a wide range of Reception Signage that is customized as per the specifications of our clients. We are offering 3D Reception Signage to our client. With the Module Plus Indoor, Crest Creative developed a modular sign system at the beginning of the 1990s that started a new trend within architectural signage and served as an inspiration for many of our colleagues. We have gained a remarkable position in the market that is involved in offering Reception Logo. Back sun board channel letter. 3mm Acrylic Sheet UB A Cast. We are engaged in offering a diverse range of Reception Name Board to the customers. These are available for our customers at reasonable and within the given time frame. Also, we make use latest tools and machines for rendering these solutions at par with global standards.